Ontario Bakery: Our Top 5 Ideas for High School Graduation Gifts! Shopping for graduation gifts can be a real challenge, especially when it comes to high schoolers. They aren't the easiest to please! At Ontario Bakery, we celebrate just about every occasion we can, with the families we know, so we've learned a thing or two about graduations. Now we're passing it on to you. 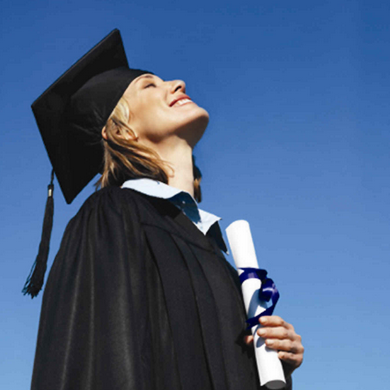 Here are our top 5 ideas for high school graduation gifts. These kids are moving up in the world and they're going to want to capture every moment they can! From their first summer after high school to all the new moments they'll enjoy at the start of college. If they're really into the idea, get them a good starter professional camera. They may develop a gift they never knew they had! Whether you choose a new monitor, tablet or even laptop, this is a great option to go with. Your graduate will be able to use the gift for both studying and entertainment; both needed in the throws of college life. What a gift this is. Until the grad gets used to independent domestic living, it could be really nice to have access to affordable snacks, dinners and even toilet paper in bulk. Even adults see the time and financial benefit there! You never know what the study conditions are going to be like, so luck favors the prepared. Now, there will be less conflict about music being on in the dorm room when it's time to focus! A less common, but still valuable gift, are essential oils. Many essential oils like peppermint, orange and lemon, are known to increase concentration, not to mention improve mood! As always, we love the honor of celebrating with you. At Ontario Bakery, we specialize in custom designed cakes, cupcakes and so much more. We hope you'll call us and let our cake stylist bake just the right cake for you! Have a wonderful graduation!